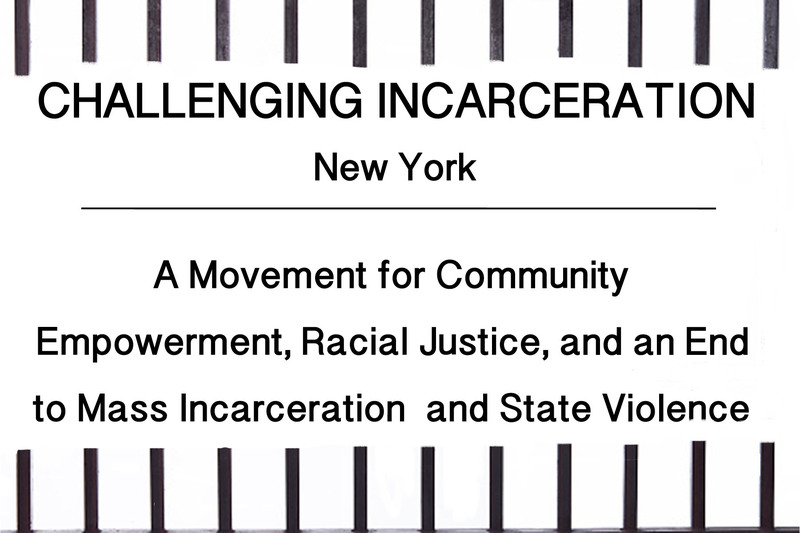 We aim to: 1) End mass incarceration; 2) Promote community empowerment, education, reconstruction, and control; 3) End state violence and torture and shift away from the punishment paradigm; and 4) End structural racism, ensure a focus on women, LGBTI people and gender non-conforming people, and protect the human rights of all people. Parole Reform: require the Board to grant release to people who demonstrate their readiness and specify what denied applicants can do to be released, SAFE Parole Act, A. 4353/ S. 3095; and ensure parole decisions are based on risk and rehabilitation, A. 1909. Raise the Age: raise the age of criminal responsibility from 16 to at least 18 for all children and all crimes, and keep all children out of adult jails and prisons. #FREEnewyork: adopt bold speedy trial, bail, and discovery law reform, along with expanded funding for legal representation in order to ensure fairness, dramatically reduce the number of people in jail and prison, stop jail expansion, end pre-trial detention in almost all cases, end poverty-based detention, and refrain from using risk assessment instruments or other approaches that claim to predict dangerousness and reinforce existing inequalities. Revamp all sentencing: end life without parole, reduce all prison sentences, stop re-incarceration on technical violations, and expand alternatives to incarceration, diversion, Supervised Injection Facilities, other community resources, and restorative and transformative justice for all people, including people with mental health needs, people who use drugs (including A. 3506B / S. 3040B), and people convicted of the most violent offenses. Voting Rights for All: provide right to vote for all people incarcerated in prisons and jails, and who are on parole. Tuition Assistance Program (TAP) restoration, A. 3995: restore financial aid eligibility of incarcerated people for college. Enhance Visits & Family/Community Ties: Restore 7-day visiting at medium security prisons, A. 7241, restore free bus program, A. 7016, and ensure incarcerated people are held closer to their children, loved ones, and community. HALT Solitary Confinement Act, A. 3080 / S. 3824: end the torture of solitary confinement for all people and create more humane and effective alternatives. Close Rikers and Attica: close this abusive jail and prison immediately and permanently, and stop systemic brutality, racism, and abuse in all jails and prisons. Racial Justice: establish Truth, Justice, and Reconciliation Commission, and reparations, for the harms of mass incarceration, policing, segregation, and slavery; and utilize racial and ethnic impact statements to prohibit any justice policy that would exacerbate racial disparities. Domestic Violence Survivors Justice Act (DVSJA), A. 3110 / S. 3340: grant judges discretion to sentence domestic violence survivors convicted of offenses caused by that violence to shorter sentences or to alternative-to-incarceration programs instead of prison.